The Standing Stone: Clonmacnoise Castle, Co. Offaly. 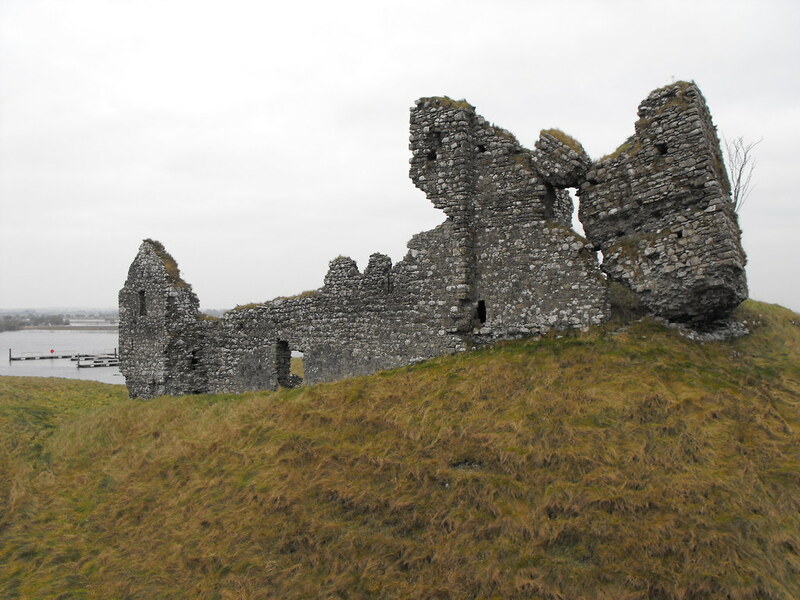 Location – On the banks of the Shannon and beside the main Clonmacnoise ecclesiastical site. Description and History – This castle is a true gem and one of the finest in Ireland for its sheer distinctiveness. 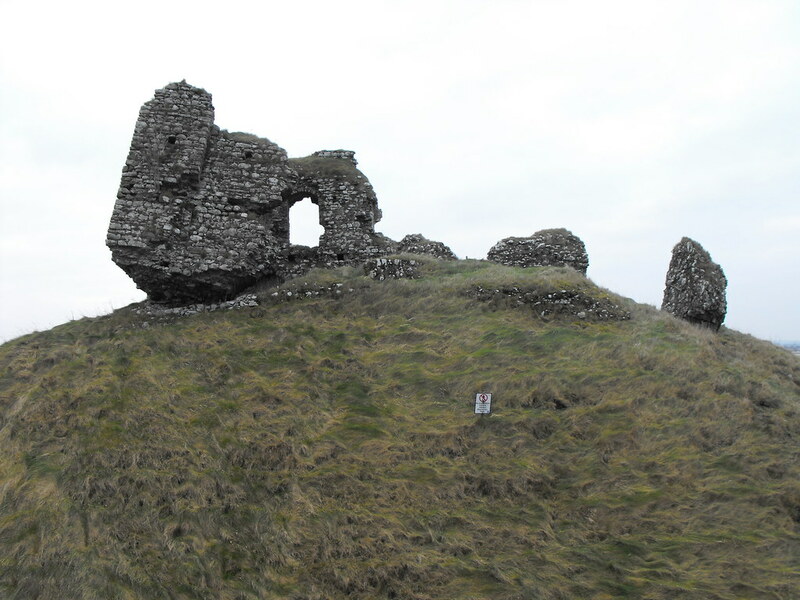 The castle is very ruined and very dangerous but it is instantly recognisable perched on a large D shaped earthwork. 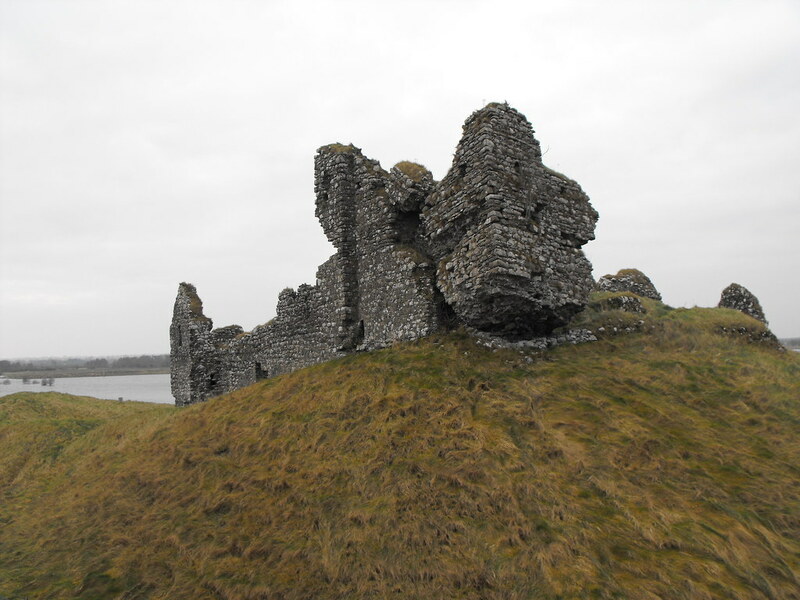 The castle dates to the early 13th century and the earliest record in the historical record is from 1215 when Ralph de Derevaus and Walter Reboth were requested to deliver the castle over to Geoffrey de Mariscis. 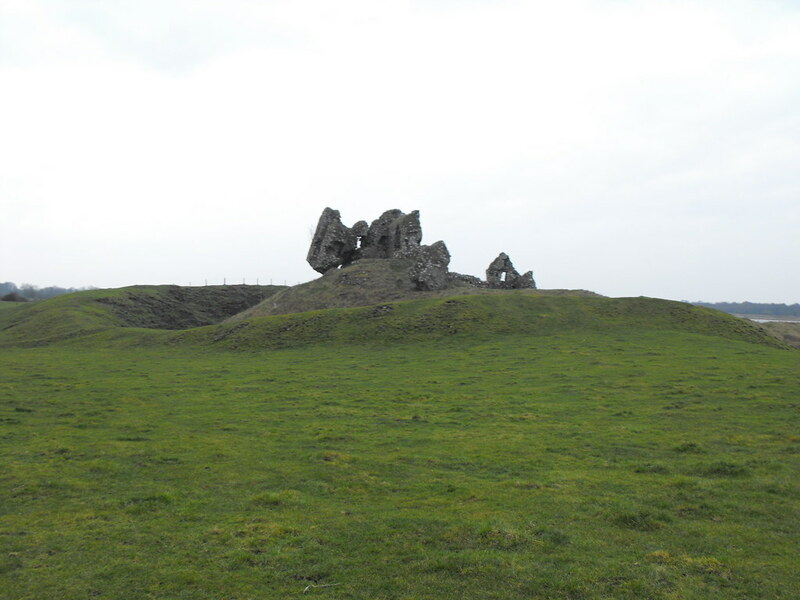 Originally the castle was three storeys high with a courtyard area within the earthwork enclosure. A draw bridge would have originally been used to connect it to the land. 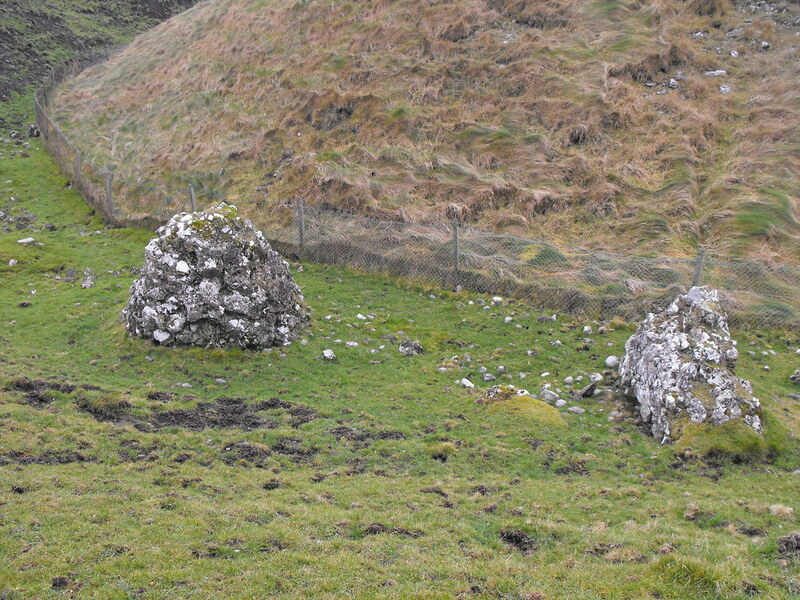 Garderobes and other features survive but none later than 1300 when the castle was abandoned during the Gaelic resurgence in the area. 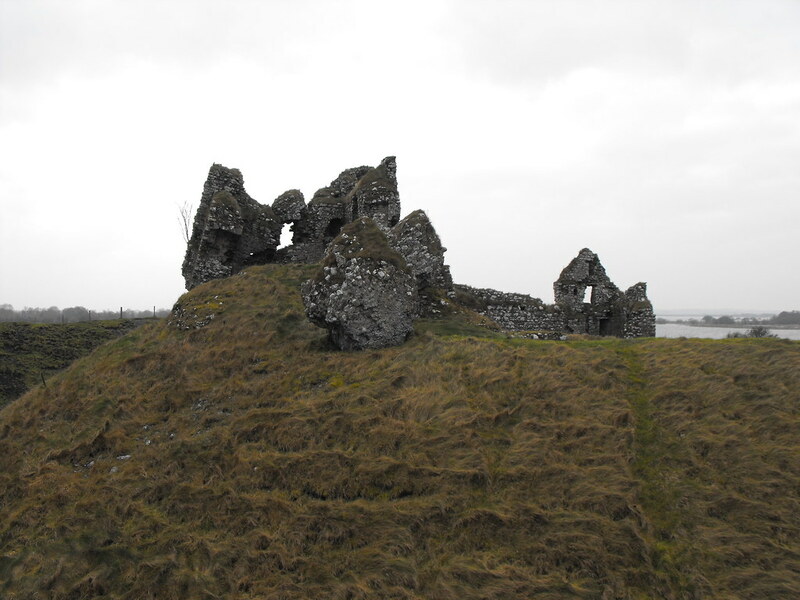 The purpose of the castle was to protect the Shannon and bridge that was at this point. Unfortunately the castle is now precariously perched and quite dangerous. I can definitely imagine a time in the near future when large pieces of this castle will fall away into the river and into the ditch. There is a fence around it for good reason so resist the urge to go climbing on the castle. I nearly gave in but was talked out of it. This is a great castle to visit and very individual. Difficulty – Easy to spot and find but not really accessible to walk around. 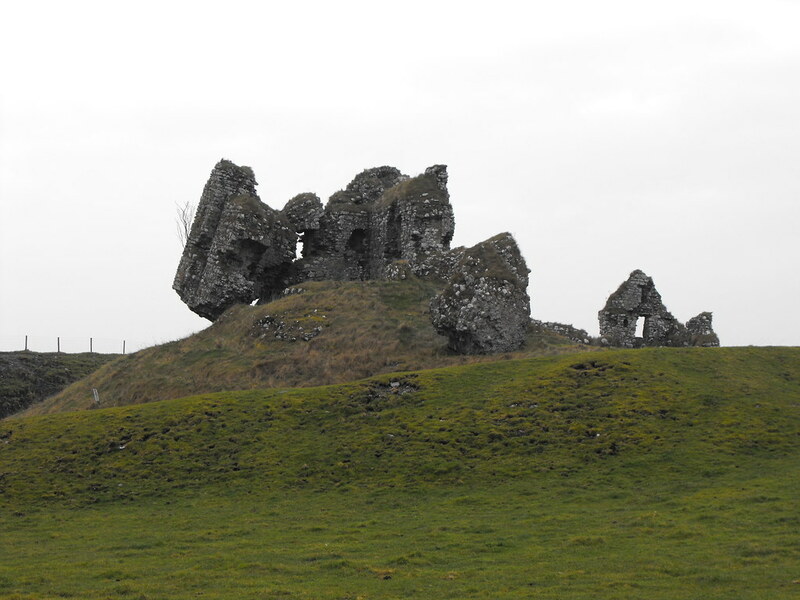 As you can see parts of the castle are leaning precariously. Bits of wall have slowly been falling into the ditch below.